I laughed. And even more so when I checked the catalogue. 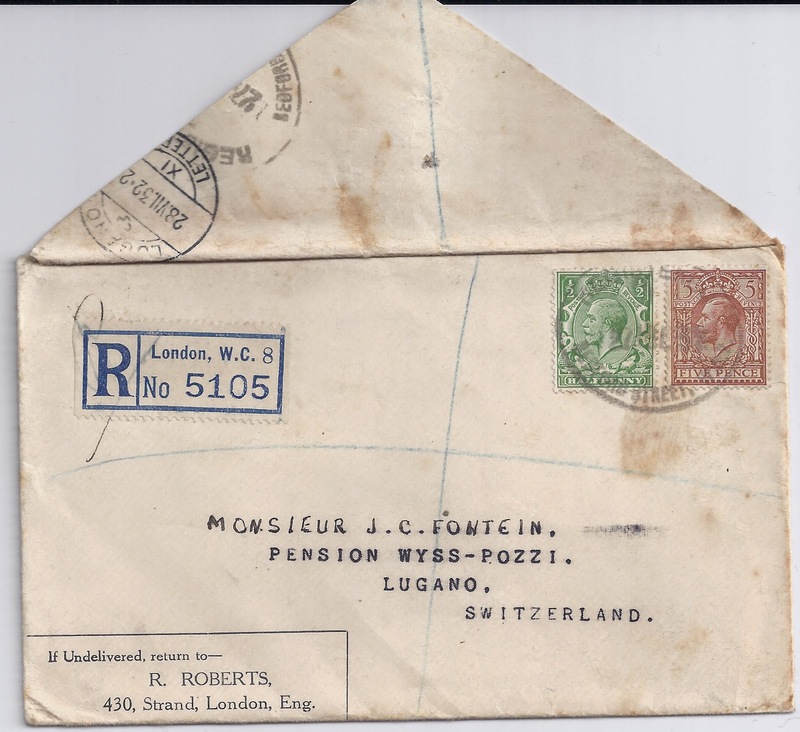 In 1932 this stamp cost Monsieur Fontein 35/- (thirty five shillings = £1.75). Today it is catalogued by Stanley Gibbons at £180 for hinged mint. 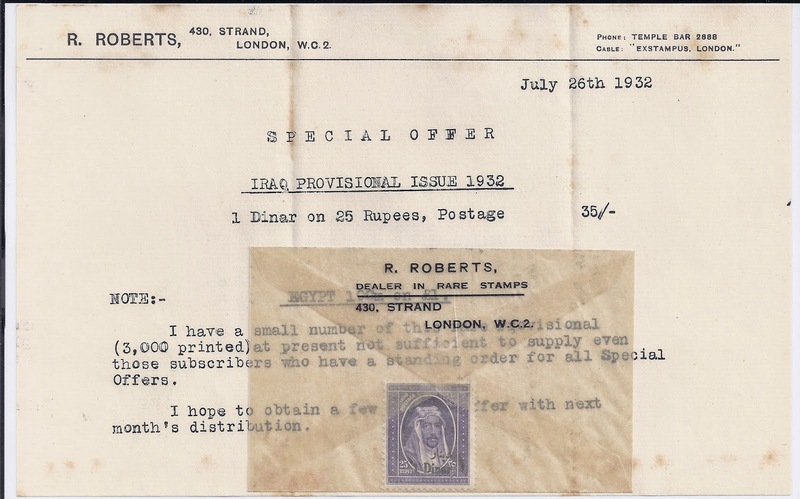 Obviously, the stamp should stay with the envelope and letter - it would make a nice page in an Iraq collection. Hi Trevor, I've been a longtime collector of older stamps and postal history but am a newcomer to your blog. As a postal history collector I think you raise an important lesson. More than once I've found little bonuses tucked away inside an envelope. Often these have been very common but like you I've had the odd "find" that brought a smile to my face. Thanks very much for an interesting and well written post.